was founded in 2007 by Grzegorz Krawczyk and dealt with running an online store with musical instruments. Because of his profession and his passion for percussion instruments, Grzegorz always wanted to create accessories that would fully satisfy qualitative and aesthetic needs of drummers and at the same time would be available with reasonable price. Therefore, in 2012 the company underwent a re-organization and began a process of many tests. It resulted in the start of production of the first drum pads and percussion rods. In 2014 GK has expanded line of accessories with launching of nuts on cymbal stand, mufflers for bass drums and shakers made of brass. Further products are in the design phase, then would be tested and when get a favorable opinion, they would be put in the offer. All products of GK Music company are designed in collaboration with experienced drummers and educators of percussive arts. All accessories are handmade produced in Poland, with strong emphasis on high quality, carefully selected parameters, accuracy and high aesthetic quality. 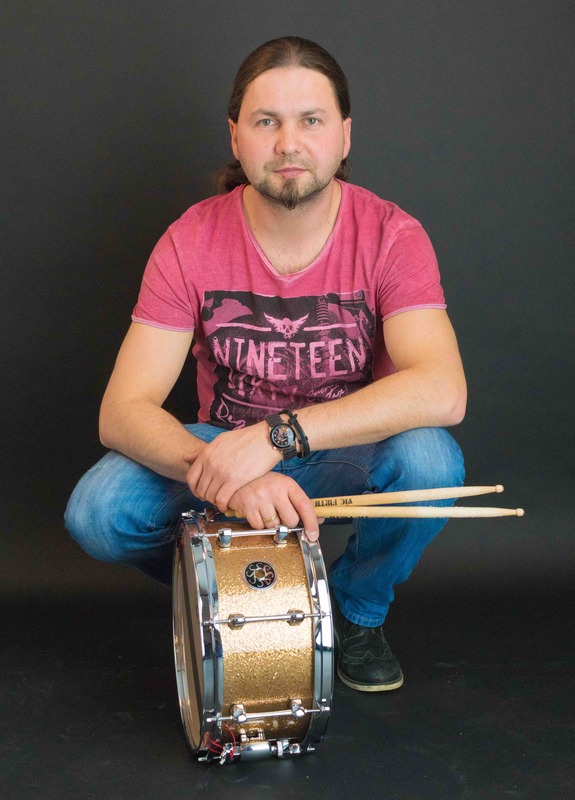 Grzegorz ‘Greg’ Krawczyk plays drums since he was 7. He was taught by drummers such as: Artur Malik, Dom Famularo, David Garibaldi, Liberty DeVitto, Atma Anur. On his way of playing and teaching have also influenced the meetings with, among others: Czesław Bartkowskim, Michał Dąbrówka, Czarek Konrad, Robert Luty, Tomasz Łosowski and by world stars such as: Dom Famularo, Ed Thigpen, Ralph Peterson Jr., Gregg Bissonette, Simon Phillips. He is the drummer of the DETOX band. He has also cooperated with Patrycja Markowska, Piotr Krupa, Mateusz Ziółko and musicians such as: Paweł Mąciwoda (Scorpions), Steven Logan, Liam MacMhurri . In 2004, Grzegorz signed a contract with Vic Firth company becoming the first Polish educator PDT (Private Drum Teaching ). He taught Igor Falecki, among others. Since 2007 he teaches at the Krakow School of Jazz and Contemporary Music. He conducts workshops and clinics, in this area has cooperated with an outstanding bassist Steve Logan. In the field of education is also cooperating with drum magazines. Since March 2013, Grzegorz is Polish Sabian endorser, he also belongs to Sabian Education Network.